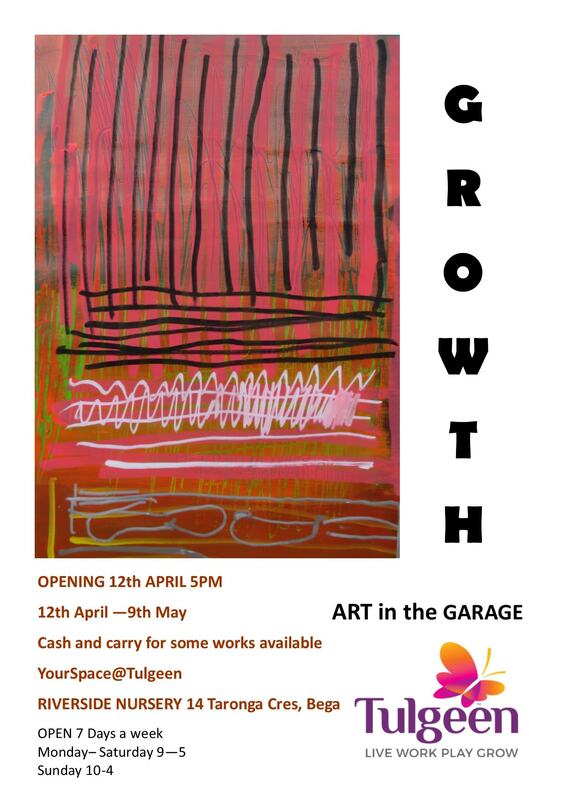 Tulgeen’s new art exhibition is entitled GROWTH. It is a collection of lively and honest work from a diverse range of artists, aged 19- 76. All have varying abilities and are enthusiastic participants in Tulgeen’s Art in the Garage. Art in the Garage nurtures the view of individual artists in a one on one way with trained mentors, who assist each person in their way of seeing and expressing themselves. Tulgeen artists express themselves without artifice and art exhibitions help growth in self-confidence and feelings of self-worth. Each artist has a unique, intimate connection with their art mentor who supports and encourages them in a one on one situation. Growth is open now at [email protected] and will run until 9th May.